The feeling of “stuck” can grab you in any area of your life from writer’s block and lack of inspiration to stress cycles or financial burdens. In essence, you need a doorway into a new experience—a new way of approaching the situation. But where do you begin? Please welcome today’s guest, Linda Rhinehart Neas. Linda is an author, poet, educator, healer, and compassionate soul who is here sharing her wisdom …and a gift! Yes, a free gift! We’ll come back to that. First, Linda has a few words to share on being creative. 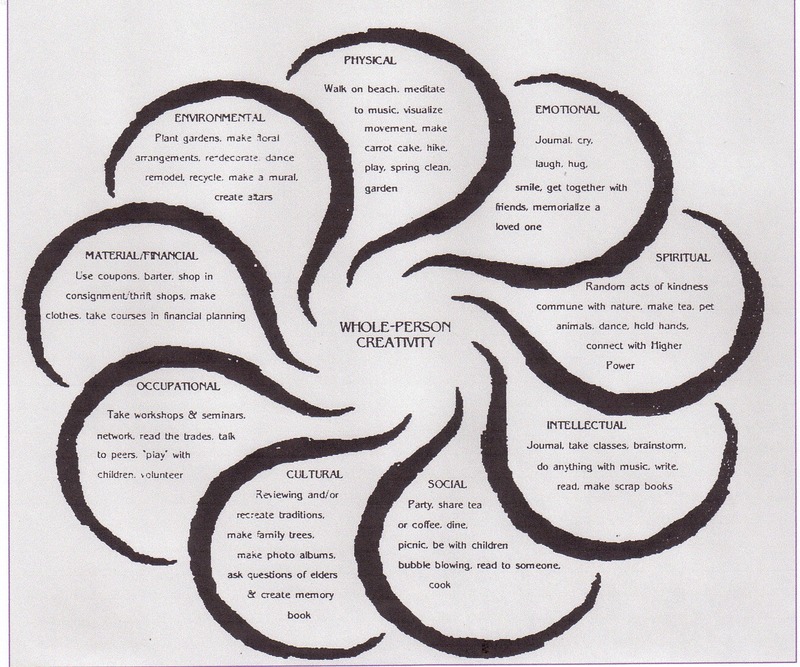 When I began giving workshops on Rediscovering Creativity, I began the first session with this wonderful reading From On Wings of Light: Meditations for Awakening to the Source by Joan Borysenko, PhD and Joan Drescher. “Once upon a time love erupted with a mighty roar. A ball of living, breathing light exploded into a universe of fire and ice, suns and moons, plants and animals, you and me. Since that first moment, love has known itself and expanded itself through us. Our joys and sorrows, hopes and fears, our dissolution in night’s soft womb and re-creation in the morning’s song are reflections of the divine love that plays its infinite melodies on the tender strings of our hearts. The notes of anguish, exultation and anger delight, pain and grace unite in a sacred harmony when we remember that behind all appearances beyond the illusion of separateness…We are One! Let us remember! You see, we are and always have been creative beings, especially women. However, somewhere along the line in our lives, we have been told that we didn’t do it good enough, or that creating things was a waste of time, or we weren’t smart enough, or even the most popular statement, we should get a real job. All of these comments, whether said in an off-handed manner or as a direct command, crippled our ability to see ourselves as creative. The good news is that we can still create. We don’t have to be gifted, or rich or anything else. We simply must want to make something. But, where to begin? In my workshop, I have students look at all the aspects of their lives. I explain that there are hundreds of ways to be creative each day. Usually, as we go through the list, participants realize that they had been creative all along; they just didn’t recognize their creative selves. Once students have reviewed the various aspects of their lives, I encourage them to pick one aspect and try something new. For instance, if they want to work on their emotional self, they might decide to keep a journal. By writing something every day, even if it is only one word to describe how you feel, a journal helps to heal and focus our emotions. The workbook that I created, which you are able to download as a free PDF, will help you find where YOU are creative. I would suggest reading it slowly, taking time to reflect on each aspect of your life. Remember, we are our own worst critics. Be gentle with yourself. Allow yourself to make mistakes. Allow yourself to fail. If something doesn’t work, think of something different or try doing whatever it is you are doing a different way. I couldn’t learn to crochet holding the needle the “traditional” way–between your thumb and pointer. I taught myself, finally, holding the needle in my fist. Looks strange, but I can crochet for hours. May you find your creative self and may you be filled with the joy of creating! Namasté! About Linda: Linda M. Rhinehart Neas is an educator/writer/poet. She has two books, Winter of the Soul, (2008) and Gogo’s Dream: Discovering Swaziland, (2010). On January 1, 2013, her story, “The Angel in the Bright Green Jacket,” was published in Chicken Soup for the Soul: Angels Among Us. She teaches English as a Second language, writing and poetry throughout New England. 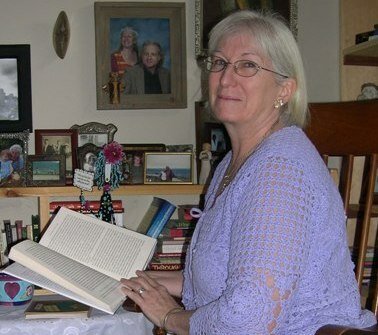 Ms. Neas lives in an enchanted cottage with her beloved husband, where she gains great insight and inspiration from her four daughters and six grandchildren. Visit her blog at: Words from the Heart. Every person leaving a comment on this post will receive Linda’s free downloadable 13-page Wellness Workbook: Whole Person Creativity. This workbook is a “tool to stimulate your creative spirit” by guiding you in balancing the various aspects of your life. To receive your copy, simply comment on this post by May 15, 2013 Enjoy!